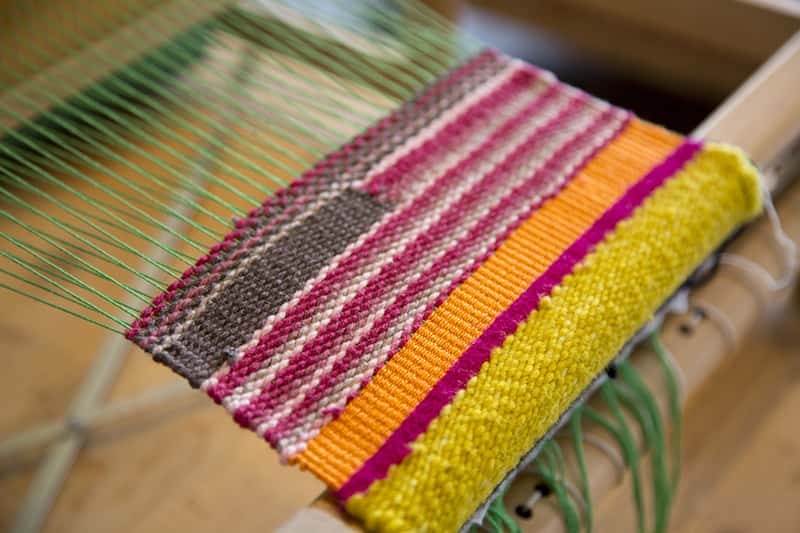 In this weekend intensive, you will learn the basics of weaving on a table-top rigid heddle loom. This is a great beginner’s loom that provides a complete weaving experience, while teaching skills and techniques that are transferable to other types of looms, including larger floor looms. The workshop will begin on Friday evening, and will include learning to warp your loom. Saturday and Sunday will be spent on demos and hands-on weaving time. Students will be invited to Open Studio time the following weekend (if needed) to complete their pieces.